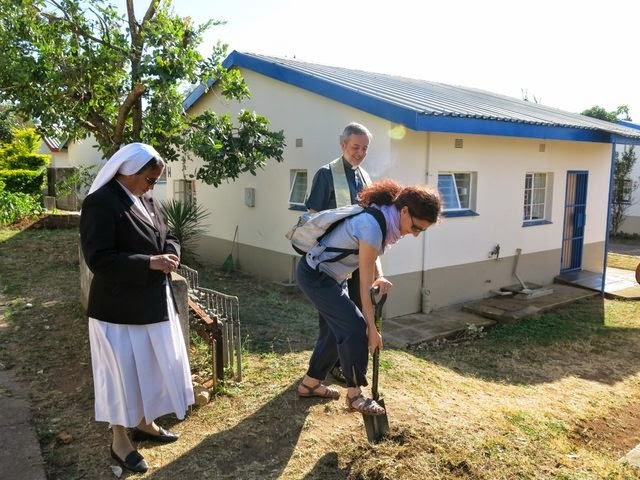 Chiara visited the Diocese of Manzini last week and we thought it would be a good idea to have a little prayer gathering and sod cutting done by her. 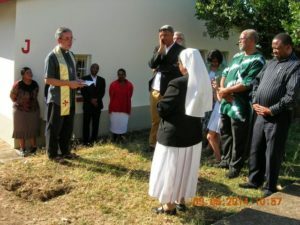 Mr William Kelly, Director of Caritas Swaziland, welcomed us and Mr Harry Nxumalo close the gathering thanking everyone, particularly the Italian Bishops’ Conference. He explained that for a long time they had been dreaming to do this, so this is “a dream come true” thanks to this generous donation. Things are already moving fruit of the usual efficiency of Sr Elsa Josephs and her team. All should be done in the next 12 months. We are deeply grateful to the benefactors who support the Catholic Church in Italy and to Chiara for helping us make it possible … and for coming to stay with us!